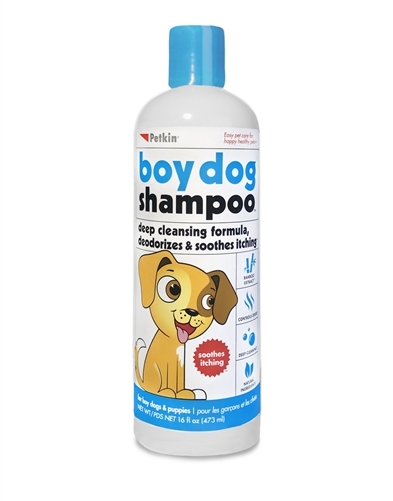 Boy Dog Shampoo deep cleans, deodorizes and soothes itching. New technology keeps your dog fresh with natural bamboo extract and charcoal. Our deep cleansing formula controls odor, soothes itching and keeps your dog’s coat shiny.